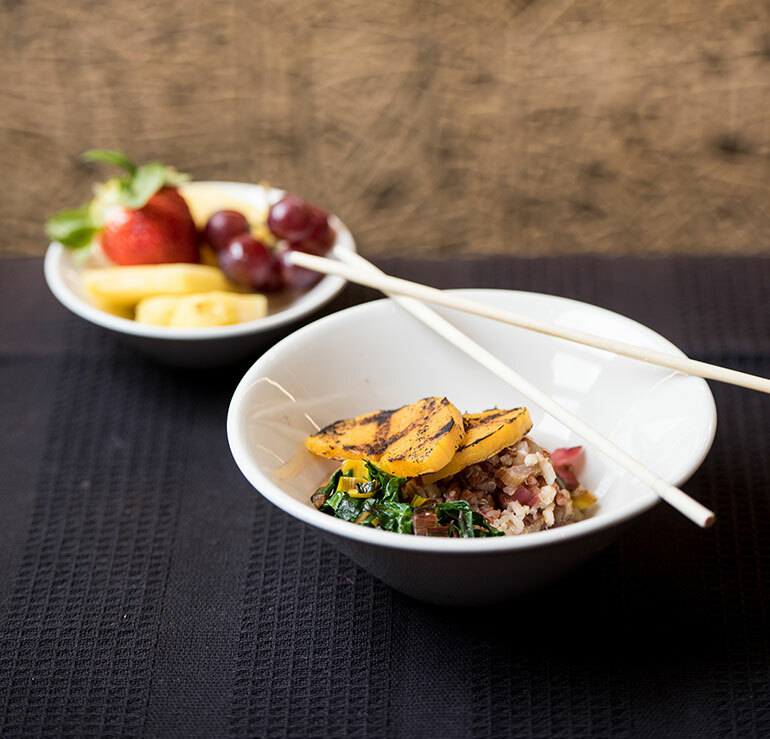 Creative Dining Services offers this gorgeous grain bowl at several college locations, including Kalamazoo College, whose dining program just received an A+ grade from peta2 for superior vegan choices on the menu, which also include a daily vegan entrée, soup, burger and dessert. The bold flavor of Buffalo sauce makes grain bowls craveable for students at Loudoun County Public Schools. 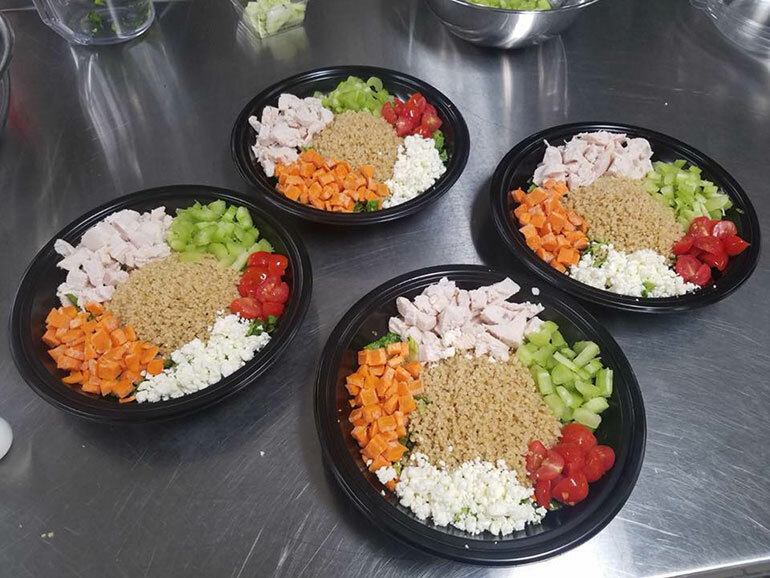 Dressings are pre-portioned and served on the side, so there’s an element of “build-your-own” customization here as well. This grain bowl, served at Michigan’s East Quad Dining Hall, is loaded up with the protein power of quinoa and farro, then layered with grilled zucchini seasoned with Indian curry powder, cilantro and Thai basil. Dining also aced peta2’s report card for their efforts with vegan meals offered every day.